I’m always looking for creative ways to get my family photos off my phone and into print! I created this simple clothespin garland to do just that. 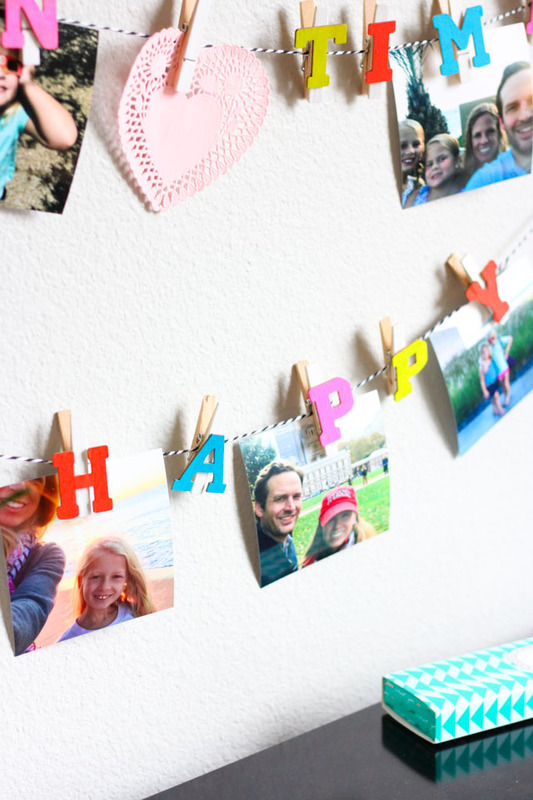 Just print out some photos and clip them onto the garland. You don’t need to worry about a frame, and you can switch them up whenever you like. 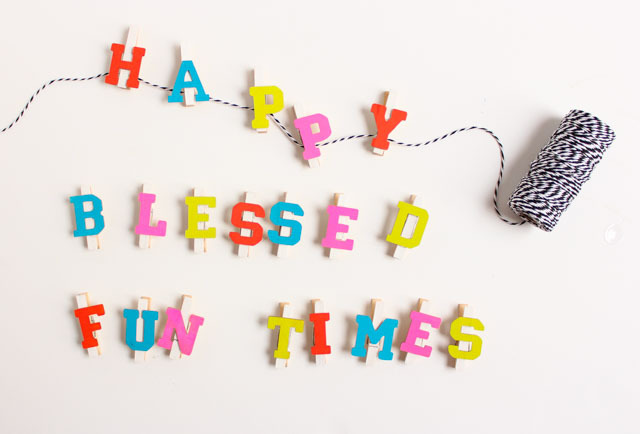 I made these garlands for Oriental Trading’s Fun365.com using their clothespins and wood letters to create different sayings on the garlands. In addition to home decor, these garlands would be great party decorations for displaying photos of the guest of honor at a birthday, wedding, or anniversary too! 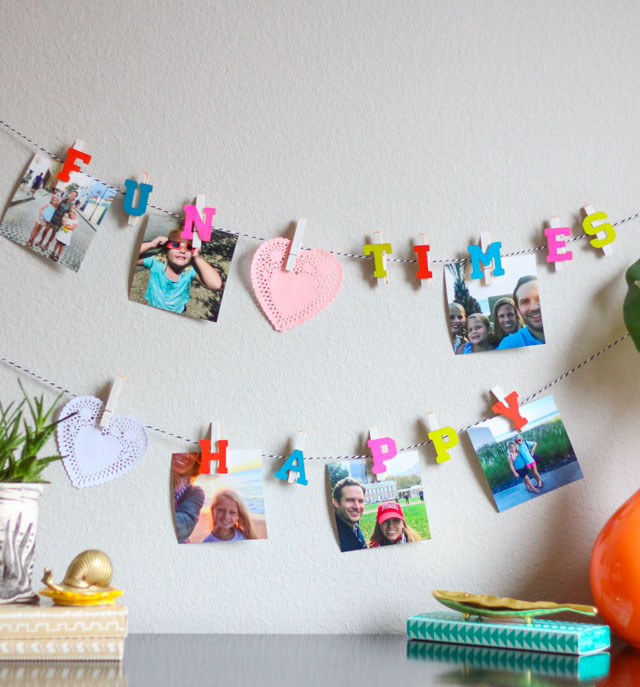 Head to Oriental Trading’s Fun365.com blog for the step-by-step photo garland tutorial and full list of supplies! This post is sponsored by Oriental Trading.